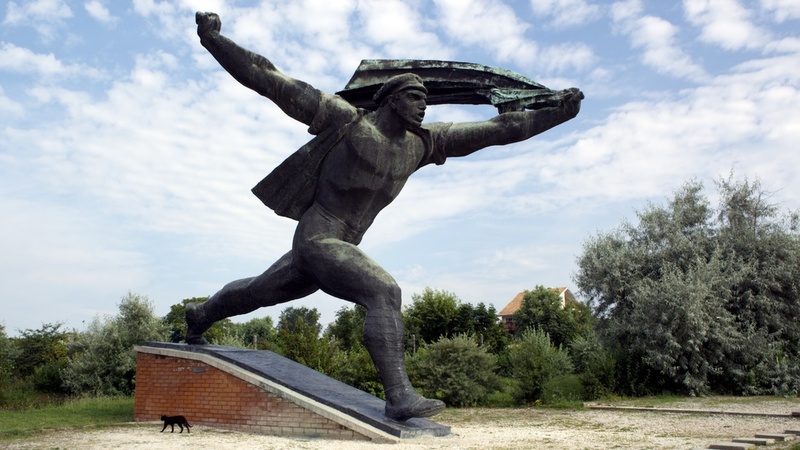 Memento Park was shot in a statue park in Budapest which contains a large collection of monumental, socialist realist Soviet statues in poses of ‘suspended animation’. 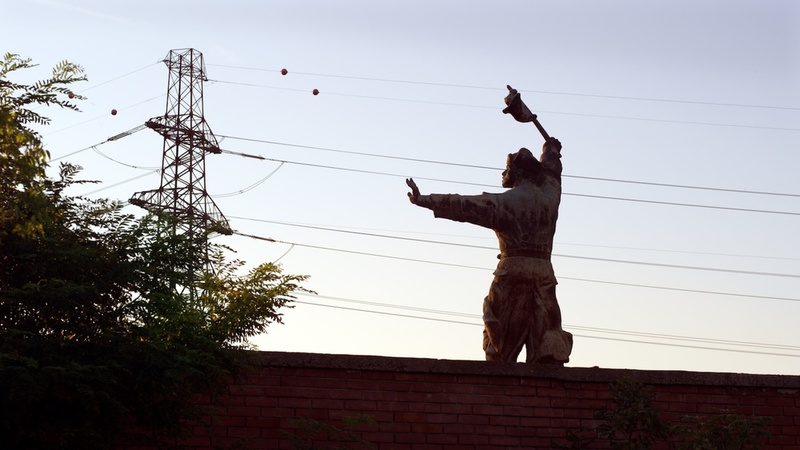 We see the statues surrounded by suburban housing, open land, commercial signage, electricity pylons and a busy road with thundering industrial traffic. 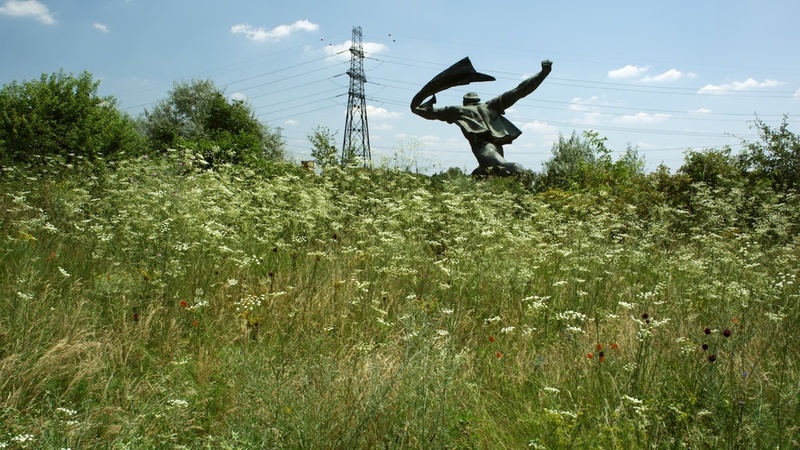 The bustling contemporary life passing by outside the park seems to undercut the statues' historical importance and impressive physical impact by giving them a provisional, peripheral, Robert Smithson-esque context. Nevertheless, the seductive lushness of the surrounding greenery, shot mainly at the beginning and end of the day, gives these icons of propaganda a strange and beautiful serenity, like we are witnessing the dusk and dawn of an idyll.